Ja Tervetuloa kaikki Blogini uudet Lukijat! Thank You All who took part into this giveaway! It is a pleasure to read your comments! Blogini 200-seuraajan arvonnta on nyt suoritettu. Onnettarena toimi mieheni. Voittaja on Maija Iidasanttu-Blogista! Onnittelut Maija! 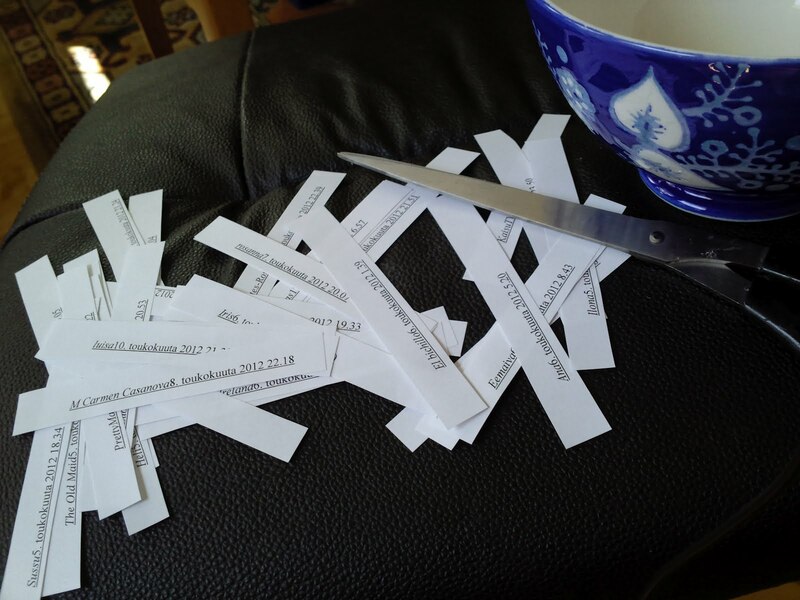 Ota yhteyttä sähköpostitse ja lähetä minulle osoitteesi, niin laitan pakettisi tulemaan. The draw in this 200-follower Giveaway has been completed by my husband as the Fortuna. 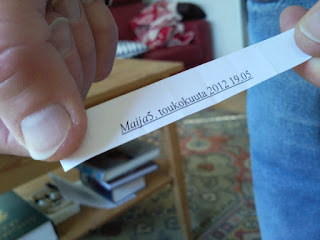 The Winner is: Maija from Iidasanttu-Blog ! Congratulations Maija! 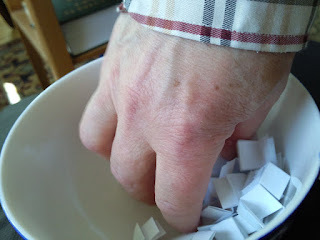 Please write me an e-mail and send me your address, so I`ll mail you the giveaway. Maija ha tenido mucha suerte. Felicitaciones a Maija. Gracias Kikka, por el sorteo de ese precioso cuadro. Thank you Kikka for the chnce. Congratulations to the very lucky winner. Thank you Kikka for the wonderful giveaway. Congrats to the winner Maija! Thank you for the opportunity and the draw. Onnellinen voittaja kiittää ja kumartaa. Congratulatio to Maija. Thank you for the wonderful chance. Congrats to Marija. Thanks for the chance Kikka. Muchas felicidades a Marija y gracias por tu sorteo.